At that time the major brewers, who owned and operated most of the pubs in the UK, were striving to achieve a completely clean glass in which to serve “the perfect pint” and Servaclean’s ‘GLASShelf’ – hygienic glass storage shelving was developed with this specific purpose in mind. ‘GLASShelf’ was a big success and led to an increased demand for better planning and organisation of bar operations across the whole hospitality industry and in turn the Servaclean FREE Bar Planning Service was born. It is said that “necessity is the mother of invention” and, just a few years later, Servaclean’s stainless steel Bar Counter Building System had been developed and was being installed in many venues for the major hospitality operators in the UK. Continued growth and success followed and in 1995 Servaclean moved into a new purpose-built office, showroom and warehouse just a few miles from its original home. 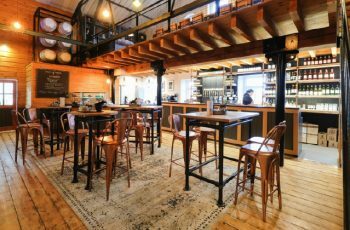 Product Innovation has always been a big part of Servaclean’s success and as well as their comprehensive range of fixed bar products, they have ‘MOVERBar’ mobile bar units with fitment configurations to serve draught beers, cocktails and coffee service. New ‘FOLDABar’ folding units are currently being developed for launch this summer and will provide a quick assembly bar solution to enable portable bar operators to offer a professional, transportable service or venues with a pop-up bar counter where storage space is limited. Servaclean is now run by directors Deana Roberts and Andy Royston – the next family generation of the respective co-founders. 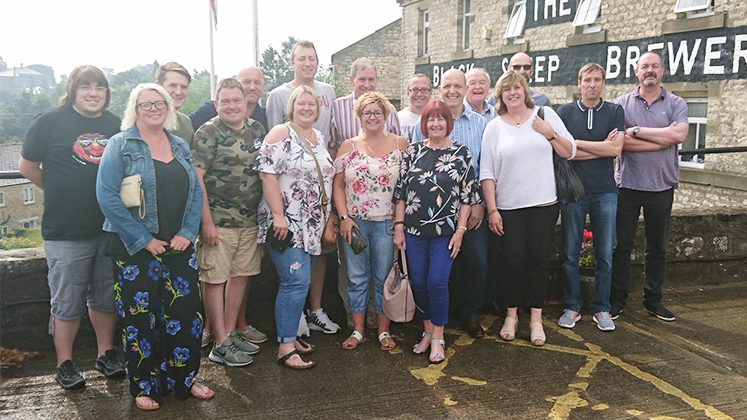 On 27th July 2018, to celebrate Servaclean’s 30th anniversary, the Servaclean team enjoyed a visit to the Blacksheep Brewery in Masham for a brewery tour, a spot of lunch and a few beers from the bar which Servaclean installed earlier this year. 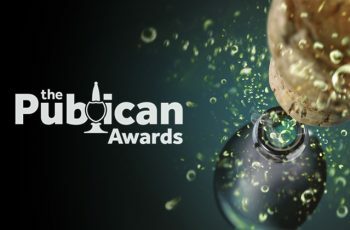 We raised more than a few spotless, hygienically clean glasses to all our customers and product specifiers and would like to take this opportunity to thank them all for their valued support over the last 30 years. Together, we look forward to achieving even greater success over the next 30+ years….